As the amount of daylight continues to decrease, we are looking forward to the upcoming Winter Solstice. The longest night of the year marks the shift in the earth, tilting us in the northern hemisphere back toward the sun. Winter will just get started, but the tilt toward the full swing of the 2015 season will be underway. For the rest of the winter, we will continue to send out emails, letting you know what we are doing, what is growing, and how you can enjoy this delicious food. 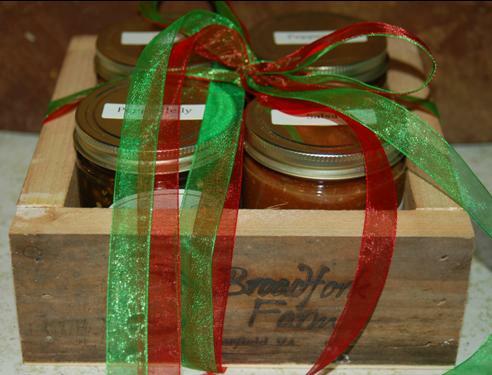 Our Farm Share Bag (consisting of a farmers’ choice medley of produce, in one easy to order option), Brussels Sprouts, Cabbage (mini savoy and chinese), Carrots, Collards, Garlic, Microgreens, Radish (watermelon), Salad Mix, …plus our Gift Box of jelly and salsa, Pepper Jelly, Salsa, and naturally leavened Hearth Baked Bread.